I absolutely love ice cream and even if it is freezing outside, I will still eat it. I also prefer my ice cream without extra "stuff" like those found in Ben & Jerry's or Coldstone. I wouldn't really say that I am picky, it's just that I like my ice cream plain and simple. One night, I was watching Unique Eats on the Cooking channel and there was an episode which featured the Van Leeuwen ice cream truck. I looked them up online and was sad to find out that their trucks do not operate during the winter but I quickly rebounded when I saw that they had two brick and mortar shops! 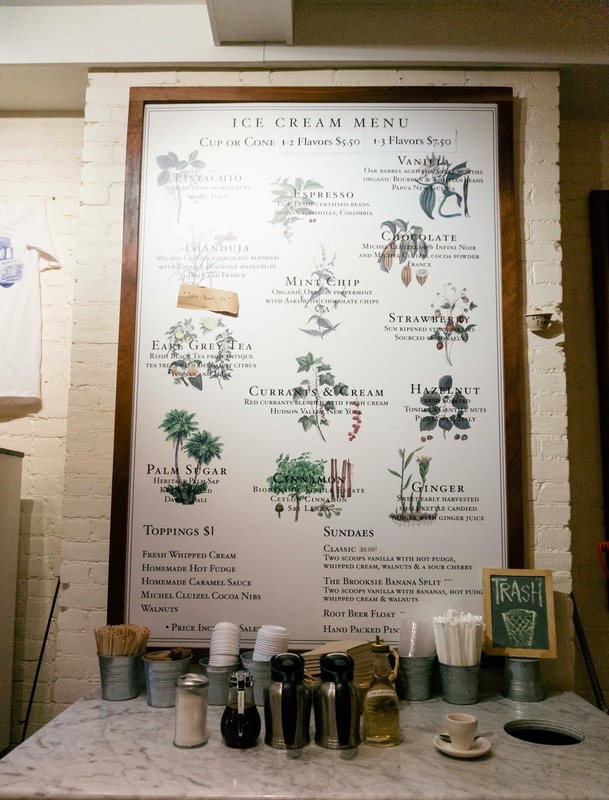 All of their ice creams use only four ingredients which is milk, cream, dairy, and cane sugar. Their flavoring are also all natural ingredients! 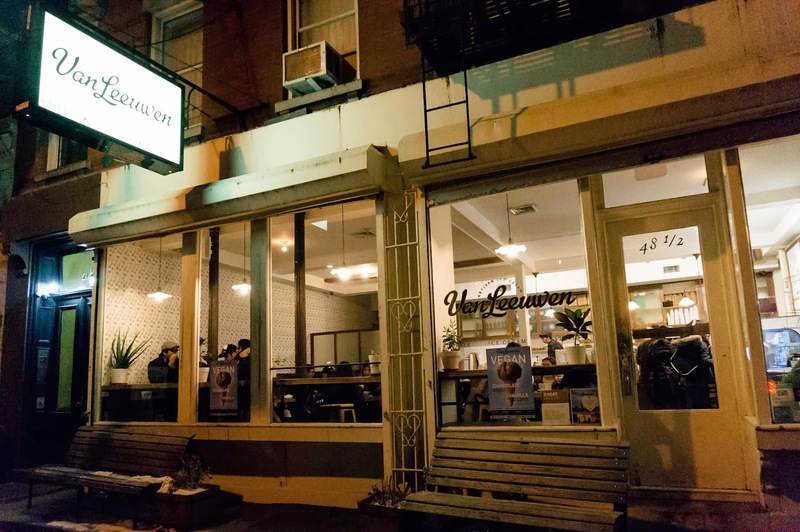 If you are looking for a simple and natural ice cream, Van Leeuwen is the place to go. 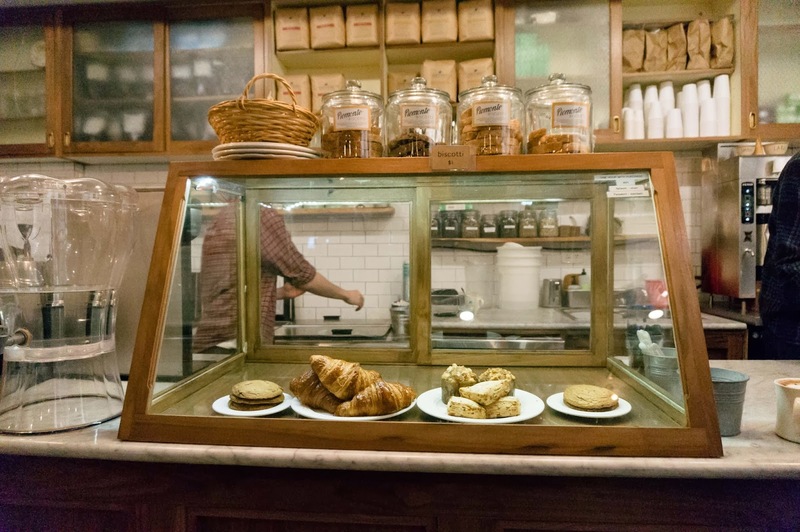 Their business model is also revolved around being green and their cups and spoons are also eco-friendly. Once I went inside, I stood there for about 10 minutes trying to decide on which flavor I wanted. In the end, I went the safe route and chose a scoop of chocolate and vanilla. Why? Well, you can't really get chocolate wrong and I had heard their vanilla was really good. My husband chose vanilla and pistachio. Their chocolate had just the right amount of taste in it without being too bitter or too sweet. It reminded me a bit of dark chocolate and the consistency of the ice cream itself was not too heavy. I was also glad that I chose vanilla after hearing that they use real vanilla in their recipe. You can actually see the vanilla bean in the ice cream itself! 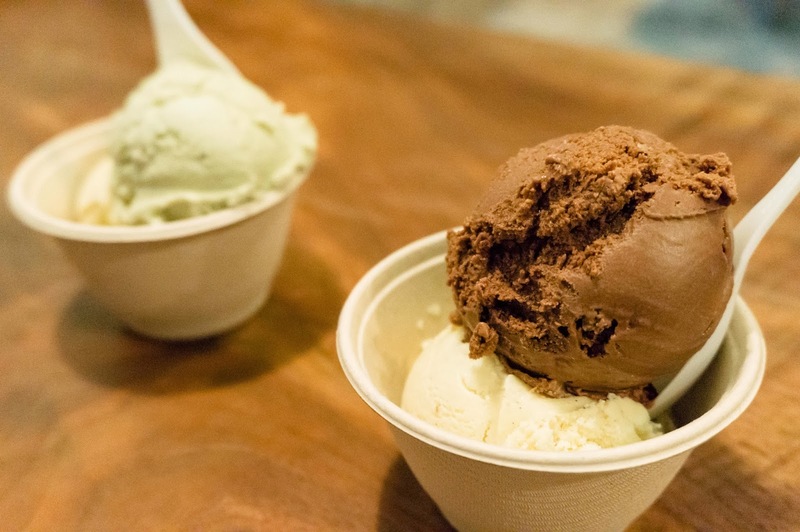 If you are into ice cream, they are definitely worth the trip downtown or to Brooklyn where their other location is. If you are not a lover of ice cream, they also have coffee and other things you can check out as well!